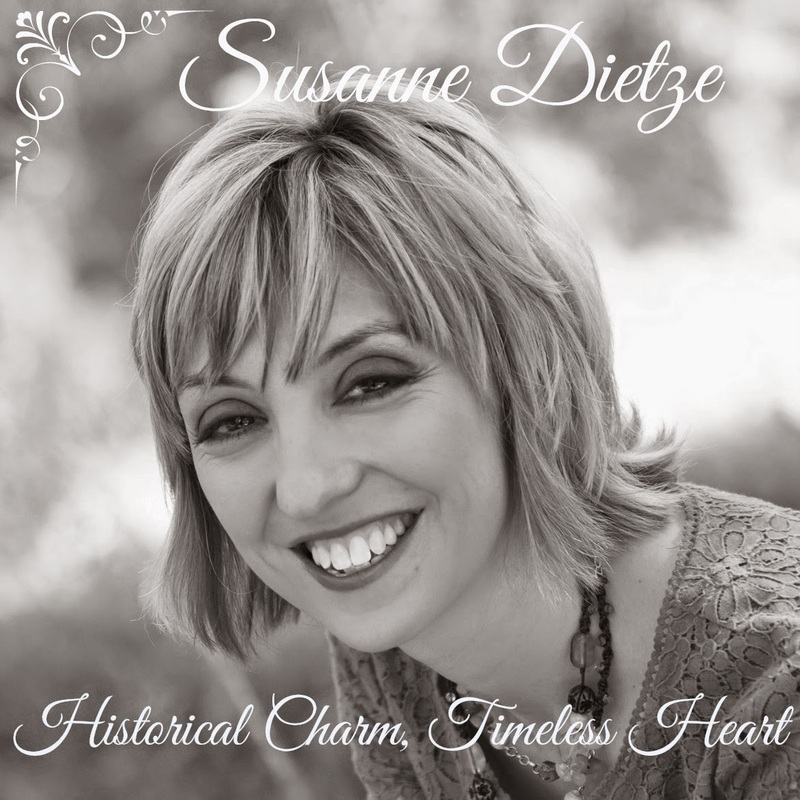 What makes a Historical Romance different from a piece of Historical Fiction? Because in my opinion, this book on my nightstand isn't a romance at all. Historical Romances are romance novels set prior to WWII, or for some publishers, to the Vietnam era. The story-line focuses on the hero and heroine (H/H) and the journey of their relationship. Without this romantic relationship, there is no story. Every conflict the H/H faces affects the romance. The story is told primarily in the H/H's points of view, but on occasion, another point of view is included (a villain's, for instance). A Historical novel is set prior to WWII (or, again, Vietnam). Romance can be and often is included in the story, but it is not the main focus of the story. Conflicts don't necessarily affect the romance. So what makes a romance a romance, aside from the main thread of it being a love story? I can think of two "rules" (and by "rule" I mean it isn't written in some handbook somewhere, but it is something that seems to happen in the majority of romances I've read, and/or an editor or multi-published author has stated it in an interview or in blog posts I've read, etc). One "rule" is that the hero and heroine are well-defined. The reader shouldn't have to guess who's getting married at the end. Yes, there are love triangle stories, but the reader should be able to figure out who ends up with whom. Romance can't bloom if the couple isn't together. Yes, there are exceptions--a villain kidnaps the heroine, or they're in a war, or there's an illness, but in those scenarios, the couple is at least thinking of one another when they're not together. They're working to get back together. That caveat makes all the difference. One last rule? Others may disagree with me, but in a romance, the points of view should stick to the viewpoints of the hero, heroine, and maybe one or two other people who have a stake in the plot. Some romance lines go so far as to say only the H/H's POV should be included. Not that long ago, romances were written with a lot of head-hopping (bouncing between viewpoints, sometimes in the same paragraph) and even omniscient narrator, but things have changed, and most editors seem to appreciate it when POV shifts only occur with a scene or chapter break, and even then, an author should make it clear right away whose viewpoint we're in. And yes, rules are made to be broken. Stories can work very well breaking these three pseudo-rules (that are not, after all, on anybody's rule list but mine). But the truth of the matter is, genres come with certain expectations. If I pick up a cozy mystery, I expect a clean read featuring an amateur sleuth who solves murders. If I pick up a suspense from the book tables at Costco, I expect murder, a race against a clock, and an alpha protagonist. Same goes with Historicals and Historical Romances. I expect different things when I read them. Which is why I'm of the opinion that this book I'm reading is a Historical, not a Historical Romance. I wouldn't have guessed the hero is Mr. Right unless it was stated on the book cover, because another guy gets most of the page time. The hero and heroine rarely appear in scenes together. If they have a relationship cooking, it is way, way, way on the back burner. We spend more time with the non-hero's family, and romance is not on anyone's mind there. Which is fine, but not the romance I expected. Is it time for me to loosen my rules, or are they reflective of your experience, too? 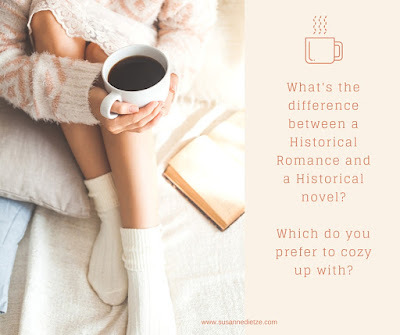 Which do you prefer, Historicals or Historical Romance? I think those are generally good rules. One I've heard is that in a true romance, if you take out the romance, the story falls apart. A novel that's just historical and not historical romance can survive having the romantic elements removed. I enjoy both historical fiction and historical romance, but I will admit to preferring novels with more of a romantic element. But as long as I know before I begin ... like you, I get frustrated if what I think is going to be a romance turns out to be something else.